This topic contains 26 replies, has 6 voices, and was last updated by bd 2 years, 3 months ago. I’m a hermit, have been one all my life. Still I’m part of a family and community. Because I’m a hermit those groups tend to be smaller. The individuals take on more importance. 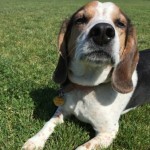 Recently a member of my family passed away. I met Tndr in the chat room 6,7,8 who knows how many years ago. With families it’s not the number of years but the number of memories, the strength of the bond. I’m happy for my sister Tndr. She won her fight. She no longer hurts. She is free. She isn’t gone. She’d here in my heart, here on my shoulder, tossing her two cents into the mix (or more likely three and a half cents). Still her passing leaves an emptiness in the chat room. Selfishly, I would have her back. I feel it is safe to say that we are all happy that she is no longer fighting the vicious cycles of chronic pain with the added demons of cancer pain. At the same time, we want her back, we miss her, we want to chat with her on social media and in The Pain Communities chat room. We want her laughter, her humor, her support, her compassion and her trademark “huggles”. 9 years of friendship that became so much more…we are Family! Each and everyone of us have been there through the good, the bad and everything in the middle..together. 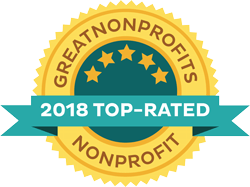 We have supported each other through the years of chronic pain…we have supported each other through the loss of family, friends and ourselves. We know more about each other than most family members do. We know each others likes and dislikes. We know each others spouses names, children’s names, grandchildren’s names. We know each others fur-kids names and we have been there for those losses for each other too. Family is not having the same name or same DNA—family is whomever is there for you…family is those who understand you…those who stand by you….those whom you have never met and may never meet in person but you feel as if you grew up together. Family is… how excited we get when new folks come to chat. 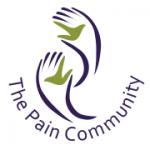 Family is flinging open the The Pain Community Chat Room door and supporting new people who come to chats, we love meeting new chat members and getting to know them and supporting them and helping them to see they are not alone. Family is…all of us here at TPC and those who we have lost along the way…Jeff, Susie and Tndr. As I sit and contemplate (or more truthfully dance about with a level 8 pain) my next entry here I realize the different pain levels don’t define me. They just set the limits (agenda? tone?) for the day. My level never falls below a 5.5. The only difference between a day at 5 and one at a 10 is what my body can do. A day at level 10 frightens me no more than a day at 5. My brain knows what to do. The defense mechanisms are automatic. That is partly due to years of practice. We all know the question “on a scale of 1<10 where is your pain?). We’ve also all heard a person in agony proclaim it to be a 12 or 13. Years ago I read the most amazing concept. Every-one’s idea of those numbers is different. Pain is a subjective concept. The idea was to write down what those numbers mean to us individually. To me what is the difference really between level 3 and 4 pains? Once it’s written down you can give it to your doctors as a way for them to understand you better. I’ve found a second and more important use for my list. It forces me to realistically evaluate and understand my individual pain levels and tolerances. With that understanding some of the scariness goes away. You suddenly get hit with a level 8 pain. If you understand what that means and what to expect from your body, it’s easier to see your way through it; to know you WILL make it through. 8 Eight is where my enfeebled adrenal gland spits forth one last bit of adrenaline in an attempt to fight or flee the pain. I’m getting better at recognizing this level. Often it looks like nesting, with cleaning taking a big part; as though to be ready for worse to come. When I see it I try and resist the urge. It’s better to save energy I may need later. 9 Again an easy to define level. I’m laying down (if I’m lucky it’s somewhere comfortable) hallucinating. Things get mixed at this stage because I rely heavily on deep meditation and bio-feedback. Later I’ll try to describe some of the places this level shows me. 10 Also easy to define the hallucinations are broken with periods of unconsciousness. I have heard you mention about writing down what the different pain levels mean to each of us. I think that is an excellent idea. After all we may have some of the same diseases/conditions/syndromes but the similarity stops there. We each have different pain thresholds, different ways we interact with our pain levels. I have been meaning to set down and write down what those different levels mean to me and this is a good reminder to do just that. 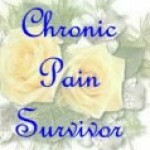 Thank you for sharing your list, I think we each can learn so much from sharing our pain journey. I don’t party for New Year’s. I don’t make resolutions. For me New Year’s is a time to look back, reflect, assess goals; and try to adjust both the goals and the paths to them. Although I have made list of goals in the past, this is the first time I’ve tried to keep written track of the review process itself. I think seeing it in writing will make it more real and powerful for me. My hope is that sharing the process here might help others. There are several easy categories to start. 1) Where was I and what were my goals a year ago? 2) What have I accomplished both towards those goals and other things? 3) What have I gained? 4) What have I lost? 5) Where am I in my journey? 6) What does all the above mean going forward? 7) What resources are available? 8) How do I need to adjust priorities and goals? While the category questions may be easy, what goes in them and how they fit together is much harder. They are subjective and changing as our perspectives change with pain levels and health issues. What is true today may not be true tomorrow. There re questions that require hard work to find honest answers. The question of how good or bad my health is seems simple enough. I know, after all I live it. The test reports and doctors have told me. But what is the truth? What does it mean? What is the impact going forward? My natural flight or fight reaction kicks in when I try to look at it. “Flight”, fear say’s things are worse than they are. That part wants to protect. “Fight” denies the severity of the problem, tries to bully it’s way through. Somewhere in the middle or off to one side is the reality. Again it’s a moving target, one we adjust daily, sometimes hourly or more. Any way you can see why this is called the MUMBLINGS of a hermit. I will try and share what my lists look like as I go. Those are some powerful questions you put forth. I feel it is important to keep ourselves grounded in the present if at a possible. I live with pain, the pain is part of who I am and so I have to include it in my day to day life, when planning a trip to the store or across the country. Finding the answers to those questions is a journey in itself. I believe that having a place like the forums here at TPC can be very helpful. It allows us to put our thoughts out there and to get support, suggestions and companionship for the journey. I am also on that journey of finding the “2016” me. Each year, each month, each week, we find things changing when it comes to our pain and how it affects our life. What I could do in 2015 has changed. The new year brings new restrictions, I really dislike that word, restrictions, but there is not a better one. It is what it is, I am restricted in what I can do today compared to what I could do, a year ago on this day. I guess for me, it is finding ways to move forward in the new year of 2016, without feeling like I have lost so much. I find I have to let go of last year and all that has changed. If I don’t it drags me down in to the darkness of depression. For me it is finding the answers to the questions and remembering to look to the present and future and let go of the past. Great stuff to think long and hard about. Am going to sit down and do my list of 1 through 10. Great idea. It does make sense Noki. It would be very easy to sucked down into the depths of all that has been lost. There are several kinds of loss. One is the loss of things I can no longer accomplish. I need to acknowledge that a year ago I could have easily done the fiberglass repairs on my dinghy but this year it is beyond me. It is important to try and keep track of these changes so I can avoid wasted energy from a simple planning point of view. Neither good nor bad just the current state of the body. There is the loss of friends and family though they sit and look over my shoulder as I type this. There are more dramatic losses. Giving up my driver’s license and the mobility it provided was a big one. In one day I went from being a lifelong hermit to being dependent on others for everything. If I want a cup of coffee I need someone to dive me to the store to buy the grounds. Last year I also lost my house in N. Carolina. It was the place who’s vision kept me sane all the years I lived in the city. I wanted to stay there until they carried me out. That wasn’t to be. The Important thing is if I’m honest in listing the losses I have to be equally honest in listing the gains. The first is a renewed appreciation of the magic in life. After selling my house I drove to Florida. After the first day of looking at boats I found the Lonoh. She is the perfect boat for me and I still get compliments on her. That led me to the boatyard where she was hauled. The yard led me to the marina where I live now. I had hoped to anchor out until if I were lucky I might find a community where I fit. Instead I found the community. Through our mutual interest in a band it turns out that my neighbors and I have been partying together since the mid 70’s. I may have lost my dream home but look where I landed. On a great boat where I can still see the wildlife up close. The other day I watched as an eagle and an osprey battled it out in the sky over the bayou. I have Ms. Kitty to keep me going. Not only do I have a new community and family that makes sure I have what I need, I have a better understanding of my value to that community in return. With the loss of the gardens comes the freedom from the woodpiles for the woodstove. I have TIME. For the first time that I can remember I truly have time to do absolutely nothing and the luxury to not feel guilty about it. And you are right Noki when you say that finding those answers is a journey in itself. That’s why there have not been follow up posts. The questions are as hard as you want to make them. They are constantly shifting with time. That’s why I find it helpful to go back and ask the questions at regular intervals. A lot of what happens to us is a slow process and only by comparison with the past can we understand the trends. Understanding the trends gives us choices if we’re brave enough to make them. No matter what the questions are or the answers might be, it is up to each of us to decide then go find or make the good each day. I try to be positive. One thing that unnerved me was saying to myself I am grateful for and finding out often what I was grateful for would happen: surprise, surprise. There must be a lesson there somewhere? It is sort of what BD is saying that we learn to live with the next hurdle. Like an athlete training we have the skills to cope and move on. Can losing bring gain? Most people would say no to that thought. Dealing with loss is part of the lessons life brings with it. If happiness is your goal in life you will find it fleeting at best. Finding a purpose, be it helping others or sharing your creative mind or like my brother sharing his love of music, then you have found triumph. If it is only for a particularly bad day your purpose may just be just to make it through. For me it can be going down the 7 stairs and letting my dog Sadie outside. Or for me it can be the same purpose as Sadie as I shuffle to the human receptical so to speak. as the nature that surrounds him. Like his commented that if you allow yourself to be quiet, really quiet you can listen to the symphony around you. Some reverberations can be a wood wind’s cacophony lightly trilling only to be interrupted by a bass drum followed by a cymbal. Then the tuba jumps in and it is as a riot of flowers in early spring. Some soft pinks, some red barn red yet they make natures purist form. the birds in the birdhouse outside my window make as they wake. Enjoy the touch of sadie’s brown fur by petting her before she goes outside. Revel in the sounds from the elementary school children as their fun floats on the breeze. Stand a bit longer to view the sunrise through the pine trees behind my house. Surround yourself with the things the world gives for free. The only cost is finding them for yourself. Use your imagination to create the world of smooth skies, finding the moon among the clouds, discover a color. 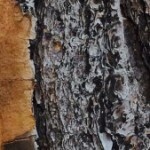 a fragrance, a sound, the texture of tree bark. BD landed in heaven on earth. What an inspiration. So many of us lose that chance to just be. He teaches us what we need to hear in his kind, gentlemanly words. They do say simple can often be best. And the best things in life are free. Friendship tops the list. It was great to meet Ruthie and her husband yesterday. I truly liked Paul and enjoyed visiting with them both. The weather has been nice and that made things so much easier. If Ms. Kitty and I are going to have company it’s nice that we can provide a pretty sunset. It’s always hard to meet people even if it’s people that you’ve know for years. Yesterday was easy. Ms. Kitty and I look forward to seeing you both again. Level 9 pain is just before you pass out. Passing out is how you know it’s a 10. When faced with a life of pain the trick is to take the fear away. Make a level 9+ pain just another day at the rodeo. For me the key lies in being able to step outside my body, in effect taking my mind and going to play in a different sandbox or world. The worlds are always different, based on real sometimes unseen places. Those places are all around and best of all, inside you. An easy example is look at a picture in national geographic of canyon country. It doesn’t matter where, you chose. Now focus, shut out the world around you. Look into the picture. Find the path, it might be a dry river bed or a rabbit run, maybe a deer wandered through. The path is there just relax and you can see it. Now take tiny steps and be sure to look around as you move forward into the scene. BONK*** Hit your nose huh! of course you did it’s only a picture. BUT you did start to follow the path. Relax go back and try it again. Before long you will be able to move a little ways into the other world then a little farther each time. If you don’t have pictures to look at no problem, shift your focus to see the world of dust motes and attach yourself to one. Follow the world laid out in the road map of ceiling cracks. The patterns on your eyelids offer their own possibilities. The first step is realizing these worlds are there, hidden in your memories. You just have to learn to let go and visit when you need to. That is not something most can learn in the next few months. The good news is that with patience and practice, gentle pokes to refocus and retry another day, you can learn at least enough to see what you can have and it will make the pain easier. People stop and say “Hi How are you? What have you been doing?”. Those are questions I ask myself. The easy answers are “OK or Working on it” and “doing some writing and carving”. The rest you have to overlook because it’s just background “stuff”. Unfortunately that “stuff” sets limits on my energy. I have COPD. The Spiriva commercial where the elephant sits on the person’s chest is exactly how it feels. Not only is it hard to expand my lungs they don’t transfer gasses efficiently into my blood. My body is always fighting for the oxygen it gets. I also have sleep apnea. My sleep is disturbed every 4 or 5 minutes though not all wake me fully. Every 10 or 12 minutes I do wake up and reposition myself. Deprived of sleep and oxygen my muscles cannot begin to repair the knots and damage caused by my myofacial pain. That all plays a part of the muscle spasms that routinely ripple through my body. There is a list of dx’s and issues that come with their own set of problems. People worry about the environment or elections. I worry about today. Will I be able to get out of the cabin into the cockpit today? As I was reading over the last two entries I could hear my brain saying stop…wait a minute…I want to stay in canyon country for a little while. The wonderful descriptions you gave about the rabbit run and the dry river beds instantly took my brain to those places. There are days here in my pain world where my brain wanders off down a warm sunny beach. I can hear the waves hitting the beach, the rush of the water, the swish of the sand being pushed inland and then being pulled back out to sea. My brain knows what I need at this point better than I do. It knows I need to escape the pain that is over-running my entire body and threatens to take me to the dark places once again. It is amazing how just one vivid description or a picture or a sound can transport us to a place where we can manage the ups and downs of the pain. The last month of computer issues has been frustratingly hard. On the other hand I’ve learned and my life is better for having the crud that I really didn’t need thrown at me. Years ago we did not have the laptops and cell phones and life went on. Today however we find the technology allows us to reach out from the comfort and security of our homes to interact with others who live with pain and are on this journey. It allows us to know that we are not alone. It is that ability to reach out that helps us to move forward each day. It is also very frustrating to lose that ability due to tech issues. Sure glad you have another means to reach out to us, Bd. I have recently finished carving a wax model that will be cast into a sterling silver pin. As I sit looking at pictures of it I am struck by several thoughts. First is amazement at the carving techniques I learned. That got me thinking of the other things I’ve learned in the last year. Yes I know my mind wanders. I’ve learned about boats in general, along with that comes knowledge of maintenance and the various systems that keep the water on the outside of the hull. Having been a hermit all my life I’ve had to learn about being a part of a close-knit community. That in turn taught me a lot about who I am and where I’m headed. I still have no idea about the latter. Moving aboard “Lonoh” and giving up my drivers license has limited me in some ways. In other ways it has freed me. There are so many things I don’t have to do like mow the lawn, tend the gardens, and split the winters supply of firewood though I did enjoy those tasks. The time and energy saved has let me play and learn the new things. I don’t have more energy now than before; I just have the opportunity to use the energy I do have a little differently. The new experiences and learning have done a lot to energize me mentally even if my brain refuses to work. Looking back I must have been crazy to give up what I had on an adventure. But look where the road has taken me. It’s all about the road, the journey. After all when the journey is over, it’s over so enjoy it while you can. I think it is important to stop and take a look at where I have been — where I am now — and where I am going. Looking back can give me joy and anguish but it is the past and it is best to let the past be just that — the past. Living in the here and now — the present — can be and is — very trying and frustrating and scary and downright crazy at times. However, it is my life, my journey and it has hills, valleys and mountains. Will I make it over the mountains or will I be stopped half way up? Will I be stuck in a flooded valley with no way up or out? I don’t know and that can be the scary part…not being able to see the future. Chronic pain is what it is — a pain in the neck, leg, back, feet, hands and so many other places too numerous to write. I can pretend that I am stronger than what I really am or I can accept the day to day facts that I cannot do what I once did — nor is my body the same as it once was. I choose to let it go, let it go, let it go….. If I live in the past, I lose the present. If I live in the what if’s, I lose the adventure. I say we take each day as it comes and let the rest of it go… after all we still have so much to add to our journey. Here’s to making it a good journey. The last few months have been hard on me. I’ve been trying to catch up and wrap my mind around the changes I see happening in my body. I have meant to share more of the journey with you. It has gotten harder to access the internet at the moment. I do think of all of you here and hope you have gentle days. One thing I do know is all things change. Drama and tension on the dock last week. The trouble had been brewing and I let myself get drawn in. It all stems from to many people living on the dock and the use and misuse of the clubhouse. For my part (Though I was involved) it was all my other issues that vented on an available target. My health is the elephant in the room. From the outside things don’t look much different than a year ago. That is due to two reasons. First I’ve gotten good at workarounds and in the new environment that is more noticeable. Secondly I limit how much people can see me. By eating the same basic meals I’ve been able to develop a master shopping list. Bob and Jessee take me to the same store so I know where things are more or less. At least I don’t get overwhelmed and am able to shop once a month. One other short trip for fresh veggies and I’m good for the month. The reality is I run on automatic. There is no extra mental or physical energy. I manage to feed myself and Ms. Kitty and the laundry gets done. I try and carve a few hours when I can. Sometimes I’m successful. Three or four nights a week I struggle to make dinner. As many times a month dinner consists of a can of pasta or chili. Three or four times a month it’s easier to give it up as a bad idea and try again the next day. I have no idea at what point things become unworkable. What happens next? how much control will I have at that point? How much will it matter? I’m not afraid of dying. I’m afraid of not dying. What will I look like in five years? ten years? How long before it drives me crazy? For now my focus has to be on “right now”. There is no looking ahead. The landscape and rules change to quickly to allow more. I don’t have to worry about tonight’s dinner. There are shrimp if I get the energy to clean them. I do need to look ahead. I need an exit strategy. Things are workable for now. Eighteen months out even with help, I can’t see it working. If I were stable I could manage it with help. My health is not stable. I’m going to need even more help a year from now. I have no idea what I need for help now never mind a year or eighteen months out. Part of me worries about giving up control. The reality is that as my world shrinks events outside my sphere of control have less importance. My time and energy go to keeping my world together. For now I want to spend my time and energy enjoying the “good” nature puts in front of me. It doesn’t matter that later I don’t remember the sparkle of sun on the water, for now it’s enough. We at TPC would like to thank you for sharing your journey with us. Your writings share with all who read them the very truth of what a life of pain is all about. You inspire us to look for the beauty of each day while also allowing us to see that there is prep work for our unknown futures. If we can help you along this journey please reach out. We look forward to reading more of your writings as you have the energy to share. I’ve enjoyed your updates from the dock and am sorry to learn that the dock drama sucked you in such that you are suffering for it. I think you are coping beautifully and adapting to the changes around you as well as within yourself. Living for Right Now is the thing that so many proponents of meditation and CBT are extolling as the primary benefit of those activities. I’d say your are doing what you need to do. No shame, no guilt, no bad feelings should come into it. Keep on finding the joy in the moment. The hurricane has passed. A category 1 storm hit east of here Thursday night. The four boats in our family worked well as a team. recovering in the cockpit yesterday I was reminded of bits and pieces that let several puzzle pieces fit together. I know that hawks are my “totem”. I need them to be able to find me. I’m amazed at their ability to do that. I know when it’s time I can follow the road into my meditation and be done. Understanding that takes the fear out of the future. I remember these truths since earliest childhood. My son has finished reading my handwritten daily log books for my first year aboard. I gave them to him for safe keeping. I knew he would and am glad he is reading them. He sad that he could see the waves of pain and muscle spasms in the word by word changes in my handwriting. There are a lot more indicators of what condition my condition is in besides the words themselves. I have been a hermit all his life. After the first year of entries his conclusion was “You may be a hermit, but you like people”. It’s a lie! A vicious lie, made up and spread to destroy a fine reputation I’ve spent years building. I have been recallecent in following the forums on the site. After I moderated chat today, I took a hint from something bd said in chat and clicked on the forums link. I am definitely glad that I did. I learned a lot of pearls of wisdom from this thread alone. I will be writing a log book on how my body adapts to being taken off of morphine and to only having OTC meds to grapple with my pain. I Will try and keep an open mind to try some of the treatment of the New and Improved VA * snort * Whether it be biofeedback, meditation,holistic, ect. This won’t be easy for me because I am a skeptic. But I will give it a shot. My state has just passed a medical marijuana bill and I will write of my adventures of trying to get my id card for that. I now plan on using what bd suggested and map out my own pain numeric system. And I also plan on putting some of my meanderings on the Veterans board here. Hopefully, some of what I am going to be going through will help another veteran in need. May a few of you will find is helpful also. I salute bd on this postings here. They are always giving me new ideas and several of them have brightened my day. I spend much if my time “drifting”. With no control over what my body will allow me to do at any given time I’ve fallen into a pattern of drifting through the day. I get up in the morning and deal with what’s in front of me. Ms. Kitty gets fed first. She wouldn’t let me forget that for long. Then it’s updating my logbook with the daily weather and battery stats while I make coffee and breakfast. That’s where I can start to drift. I lose the “timeline” for the day and “drift” into what ever is in front of me. Sometimes that’s more entries in the log. I may get into a project or a video. The goal is to make it to the end of the day and later through the night. Drifting makes it easier to escape what my body has planned for the day. It’s a good thing when I can loose myself in a book for a day. It’s frustrating when that means I missed chat or something else equally important to me. I don’t waste energy feeling bad. I’m more thankful I was able to be distracted. For some the idea of drifting may sound like depression. I can assure you that is not the case with me. I continue to take care of myself and be creative. I am constantly amazed at the good I find in each day; and am blessed with friends and family. I do think of you all even when I’m lost in space.